Oh, how true the above statement is. This journey has been such an exciting one, and it’s only just beginning. To say that the Lord has been working through all of this is an understatement. I’m not sure I’ve ever heard the voice of the Lord as clearly as I have in the process of waiting on His timing and trusting in His provision. But can I say it has been easy? Not in the slightest bit. In the past month we have resigned from our jobs, said goodbye to precious friends, packed up and moved within a week, and traveled to an area of the country we’ve never been before to serve. All while trying to figure out how in the world we are going to raise $3,000/month for at least the next year. We are not in the slightest control of anything in our lives right now. It is hard, but it has also been so sweet. Over the past two weeks, as we’ve sent out our letters and posted our fundraising link online, I have found myself doubting. Asking people to selflessly give to us to partner with us in our goal to reach the nation of Haiti with the Gospel sounds absolutely absurd. I am fully aware of how hard it is to support your own family on your income, let alone give it to help support another family. Simply put… it doesn’t make any sense. But the Lord called us to follow Him and I have to fully trust in His sovereignty and His provision. Just last night I got home and discouragement hit me like a brick. We have been brainstorming fundraiser ideas for events and other ways to raise the money we need outside of our support letters. A few doors have opened, and I’ll post about those another time, but doors have also been shut. Some of the greatest ideas I’ve come up with just haven’t worked out. And that’s discouraging. So, last night, just when I started to doubt, I got an e-mail from someone committing to support us monthly. My heart was rocked. It was from a couple who are also in ministry. They’ve followed God’s call on their life and I know it hasn’t been an easy journey, but the Lord has still shown them His sovereignty. And just like that, I am encouraged. The disappointment is no longer there. How sweet of the Lord it is to send us the encouragement we need, right when we need it the most. That is just one, sweet example of how the Lord has provided. He has done that already through so many of you, and please know that we are more than thankful. We literally cannot do this without your support. So know that when you live out the Gospel by giving to us generously, we feel beyond blessed. 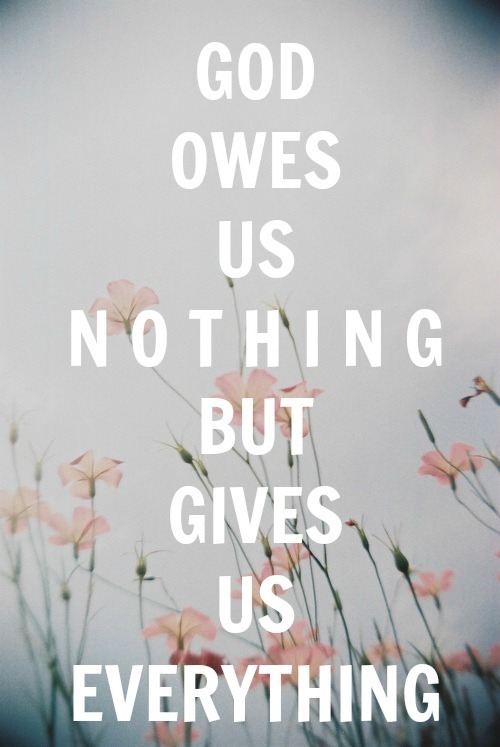 We have done nothing to deserve the love and grace Jesus has poured out on us, yet He gives it to us graciously. Your support is not promised to us or owed to us, yet the Lord uses you to bless us immensely. You are such an encouragement to our hearts. Thank you. Thank you from the bottom of our hearts. We are so humbled by your love, your generosity, your heart to partner with us in this journey. For those of you who would love to support us, but can only do so through prayer, we are also beyond grateful. Your prayers are the most important to us. We ask that you continue to pray with us and for us. Pray for our hearts as the Lord prepares us and equips us for what He has called us to. Pray for our marriage to be strengthened daily and to be guarded against the schemes of the devil. Pray for the funds to continue to come in to enable us to complete the task before us. Pray that the last few weeks in the States will be filled with sweet moments where we can spend time with all of those we love. We feel your prayers and are so blessed by them. We also want to be praying for you. If there is any way that we can specifically pray for you now or while we are gone, please let us know! It is so important for us to be able to keep our loved ones in our prayers. We know we are not the only ones who need to be lifted up to the Lord. Again, thank you. You have blessed us and encouraged our hearts. We are thankful for you and love you all deeply.